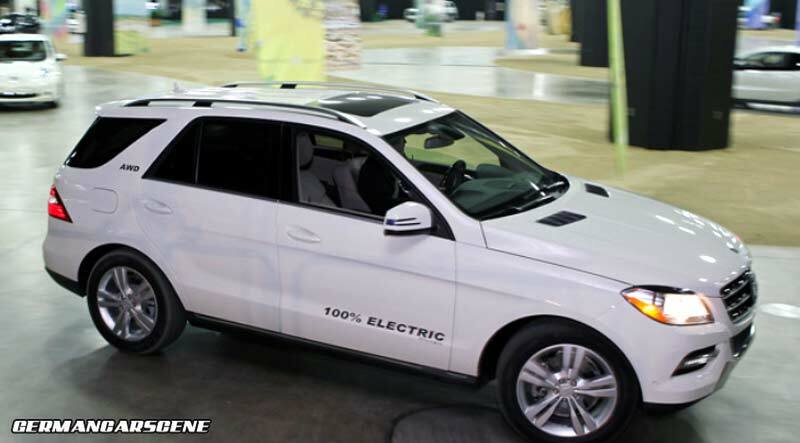 Coinciding with the opening of its first dealership, Cincinnati-based AMP Electric Vehicles can now offer the practicality of an AWD sport utility vehicle (SUV) with the benefits of zero emissions. Basically, the factory engine and transmission are torn out and replaced with custom lithium iron phosphate batteries, providing a total capacity of 40 kWh, underneath the hood and floor. They feed a pair of rear-mounted Remy AC motors developing 164 kW (220 hp) and 640 Nm (472 lb-ft) of torque; enough for a sub-ten second sprint to 100 km/h (62 km/h) and a limited top speed of 145 km/h (90 mph). A range of around 202 kilometres (125 miles) per charge is also achievable – depending on your driving style. Reservations are now being taken, with a 2012 AMP MLE AWD starting at $ 79,500 (€ 62,200), although that prices is reduced thanks to a $ 7,500 (€ 5,900) IRS Federal Tax Credit deduction for plug-in electric drive motor vehicles. Deliveries begin this Autumn. “We are very excited and proud to share this important moment. To many people, the EVs that are on the market today are small. AMP all-electric SUVs offer a unique full-size EV experience. The wait is over,” said Dana Hackney.